Connections between what people eat and who they are--between cuisine and identity--reach deep into Mexican history, beginning with pre-Columbian inhabitants offering sacrifices of human flesh to maize gods in hope of securing plentiful crops. 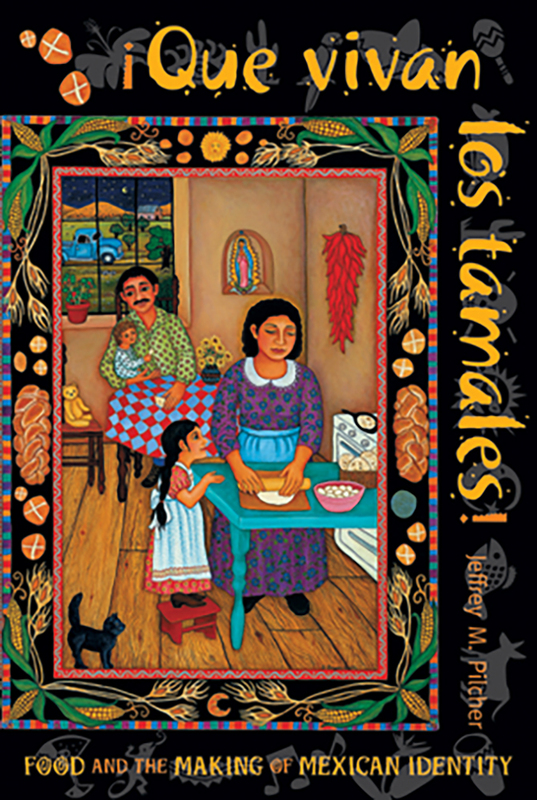 This cultural history of food in Mexico traces the influence of gender, race, and class on food preferences from Aztec times to the present and relates cuisine to the formation of national identity. The metate and mano, used by women for grinding corn and chiles since pre-Columbian times, remained essential to preparing such Mexican foods as tamales, tortillas, and mole poblano well into the twentieth century. Part of the ongoing effort by intellectuals and political leaders to Europeanize Mexico was an attempt to replace corn with wheat. But native foods and flavors persisted and became an essential part of indigenista ideology and what it meant to be authentically Mexican after 1940, when a growing urban middle class appropriated the popular native foods of the lower class and proclaimed them as national cuisine. Jeffrey M. Pilcher is associate professor of history at the University of Minnesota. He is also author of Cantinflas and the Chaos of Mexican Modernity, The Human Tradition in Mexico, and Food in World History.